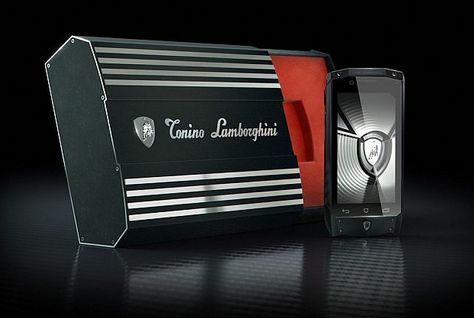 Tonino Lamborghini rocked the tech space in Dubai with it’s all new luxury brand mobile phones. The Antares phone is laced with amazing features including the stainless steel casing. The Luxurious Lamborghini phone will be soon launched in the entire gulf region. Gianluca Filippi, CEO at Tonino Lamborghini, believes that the Antares mobile phone is part of a new market in the Middle East where there are not many competitors for the brand. “I don’t want to be arrogant, but I don’t care about competitors. We are Tonino Lamborghini. We offer a premium, top quality, top tech and a luxury design, we totally differentiate our product,” he said. Brands that customise devices from other mobile phone brands are not seen as competition for Filippi either. “There is a new market to follow this concept,” he stated. The Lamborghini smartphone is a limited edition product with a serial number engraved on the back. The phone has six different variations and there will be 1947 pieces in each series. This figure is a reference of Ferrucio Lamborghini’s year of birth, Tonino Lamborghini’s father. The device is made from stainless steel, it has a scratch proof Gorilla Glass screen, a high-performance quad-core 1.5 GHz processor, 2GB RAM, the sound system is provided by Yamaha and it has a four inch high-resolution touchscreen. Antares uses Android 4.2 Jelly Bean platform and the interface is designed specifically for the brand. Tonino Lamborghini recently added a tech-luxury vertical to its business. 93.4 percent of the revenues of the group come from their international market. China, Korea and Japan are the main markets for the company, but the brand wants to expand its technological business to the Middle East and is planning to open a new office in Dubai after August to manage business in the region. Tonino Lamborghini plans to launch a new model with LTE connectivity in November 2014. The brand is already working on a new model which will be launched in 2016. Now it would be interesting to see that how the tech luxury products from Lamborghini brand will attract the elite customers towards itself.